Ten years after the war in Afghanistan began, thousands of Marines pushed northeast from Sangin district up Route 611 in Helmand province in 2011 during Operation Eastern Storm. They tangled with the Taliban in a variety of areas of volatile Kajaki district that had rarely been touched by coalition forces, and engaged in a number of ugly fights along the way. That operation marked one of the last major offensives for the Marines in Afghanistan. As we reported while embedded last spring here, here and here, Marine officers transition within months of that operation to turning Kajaki over to Afghan forces, making the fight in Kajaki one of the quickest — and most complicated — in Helmand. 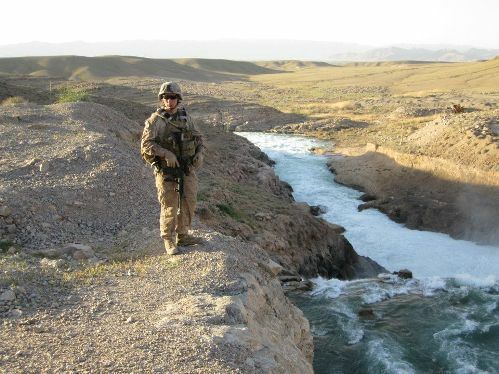 One of the main stated purposes for that assault was to create security so the coalition could increase capacity at the landmark Kajaki Dam, a hydroelectric facility that was isolated in Taliban country for years, with only a small bubble of security around it provided by Marines. Putting in a planned third turbine would require trucking in hundreds of tons of concrete — and having enough security in the countryside to make the delivery. In the latest phase of the Kajaki saga, fighting as well as limited oversight of spending has led to huge delays and cost overruns. Now Helmand province, home of the dam, is seeing the first and largest wave of U.S. troop reductions, with 10,000 of 17,000 U.S. Marines already gone. That means most of the Kajaki project is going forward with Afghan forces providing nearly all the security in an area that was a Taliban stronghold until a year ago. Afghans here are already hedging their bets. The number of workers on a U.S.-funded construction project next to Kajaki has dwindled from 200 to 20 since last fall, and those remaining say workers feel the risk isn’t worth the $6 daily paycheck. “They can’t come here because all the routes to the district are controlled by the Taliban,” said Abdul Razziq, a 28-year-old villager working on construction of a new district government center next to the dam. I’ve discussed assertions along those lines with Marine officials in Afghanistan in recent weeks, and they reject that the Taliban has control of the countryside. They acknowledge Afghan forces lost ground last summer after being put in the lead, but assert that they have since taken control of the situation. This project will bear watching in 2013.